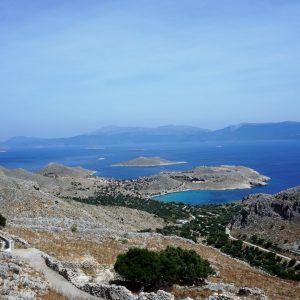 Get the most out of the Dodecanese islands with this ideal island hopping trip in four islands. Indulge in cosmopolitan Rhodes, enjoy magnificent views of charming Symi and explore authentic Tilos and Chalki islets. 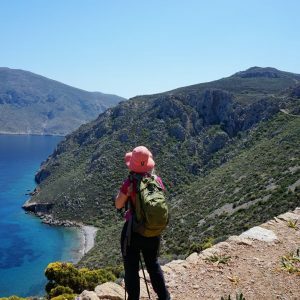 All you have ever thought of Greece, combined in one hike! We start from the seaside village of Livadia. Following a coast line trail we visit lovely beaches, including a spectacular red beach. We then reach Lethra, a paradise beach full of trees, and begin the ascent towards Mikro Chorio (meaning in Greek: small village). Once a highly populated village, now it is a deserted one, with abandoned houses, narrow alleys and green yards, with goats as its only inhabitants. During the summer months a bar operates here where customers can stroll around this one of a kind “ghost” village. We start descending towards our starting point, Livadia. Distance: 7,5 KM / Actual Hiking Duration : 3 hours. 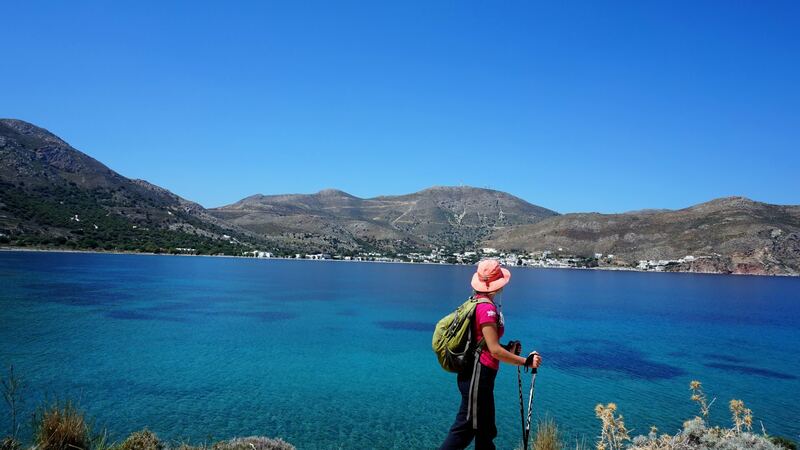 Today we start from Livadia village, and follow the coast line, walking by the beach, towards the end of the gulf, to the main port of Tilos. 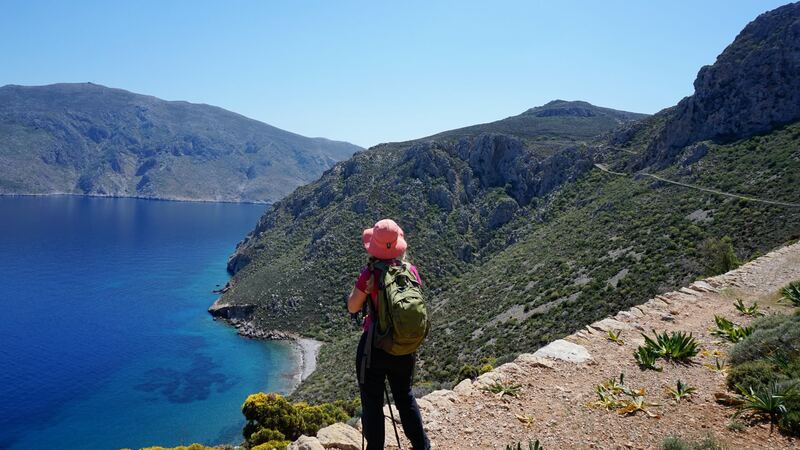 The trail was once built at the ridge of the mountain slope and connected the port with the now abandoned village of Gera, where a few houses and some threshing floors remain, overlooking the endless Aegean Sea. We continue our walk, and ascent a riverbed full of trees to reach the highest point of our hike. 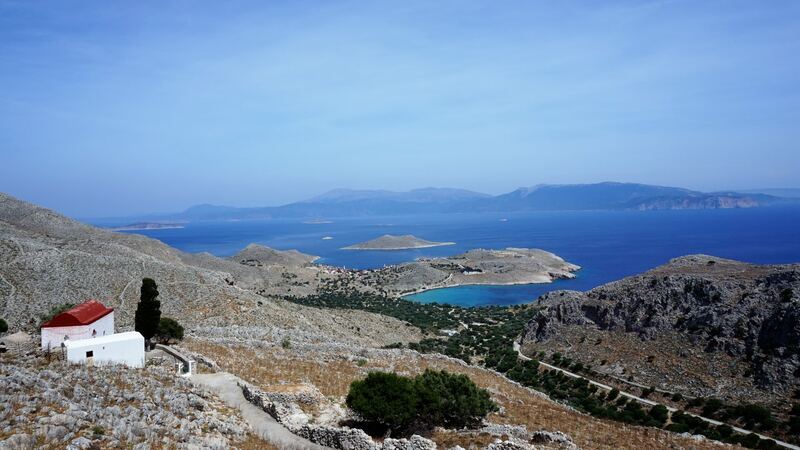 With great views to the nearby islands, we then descend again towards Livadia. Agios Panteleimonas is a monastery built on 1531 AC by a sailor, who survived a shipwreck and had a vision of Saint Panteleimon on his dreams. He decided to build the monastery on the favour of the saint that saved him and as the myth goes, at the milestone of the building he discovered a fountain! Nowadays, Agios Panteleimonas stands proudly on the harsh environment of a mountain slope surrounded by maple trees – a rare thing for an island. 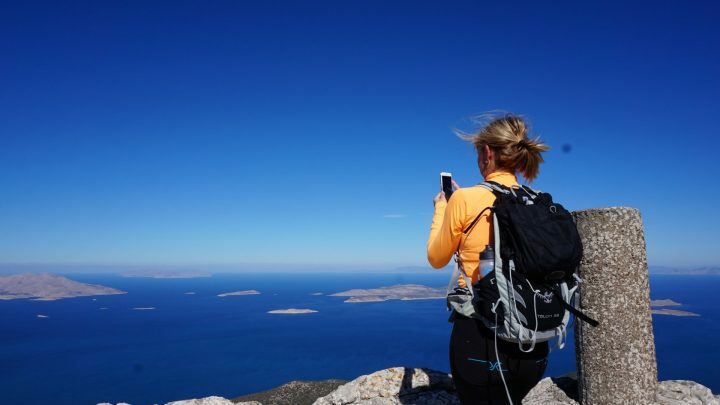 The trail starts at the outskirts of the Monastery and leads to Agios Antonios – the second port of the island, offering fantastic views of nearby Nisiros. 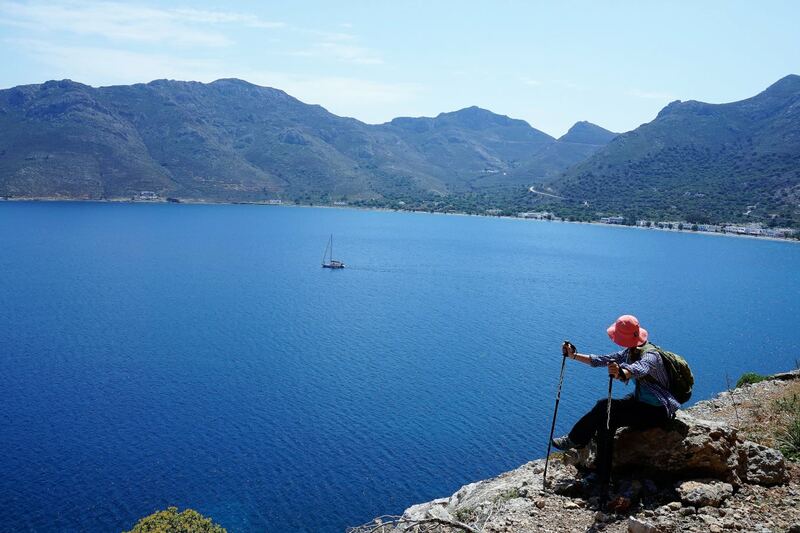 We arrive at Agios Antonios, and we ascend to Megalo Chorio (means in Greek: Big Village) the nowadays capital of Tilos. 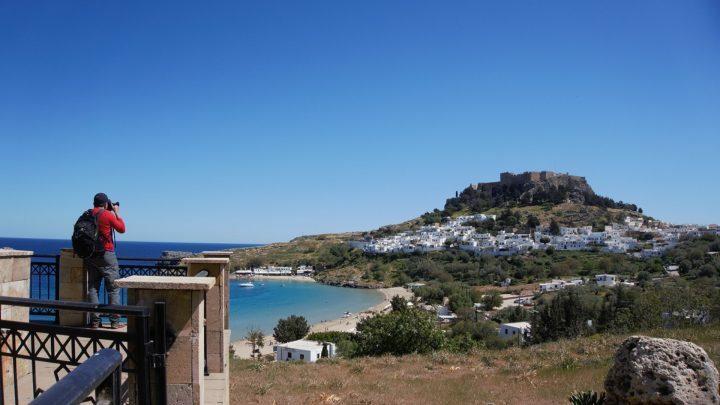 Built under the shadow of a medieval castle, Megalo Chorio, stands proudly overlooking Eristos, the biggest and most famous beach of the island. Distance: 7,5Km / Actual Hiking Duration: 3 hours. Boat to Halki in the afternoon, sightseeing at the main town of Halki. 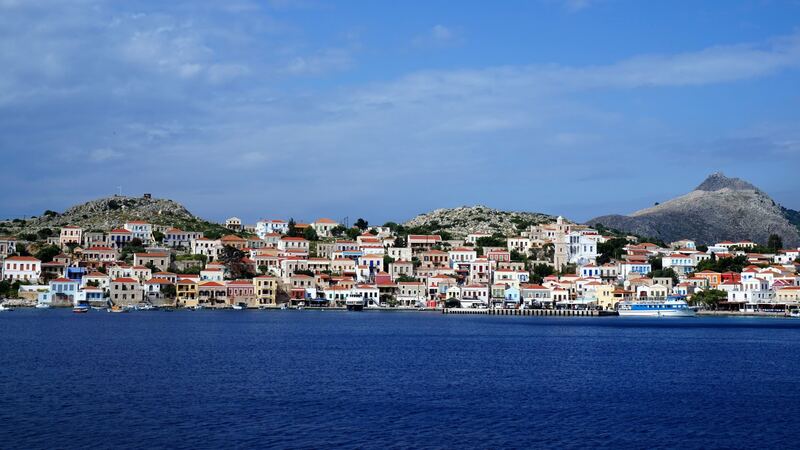 We start from the capital of Halki, Nimporios which is also the main village and port of the island. 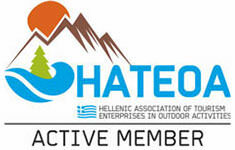 We walk uphill gradually from a fertile valley that leads up to the Medieval Castle of Chorio. 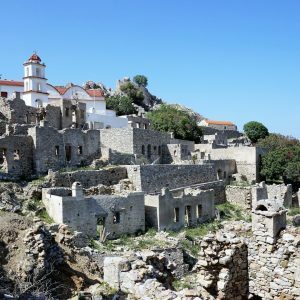 The village of Chorio, west of Halki, once the only settlement on the island, is built around the hill upon where the fort stands with its old style stone houses. 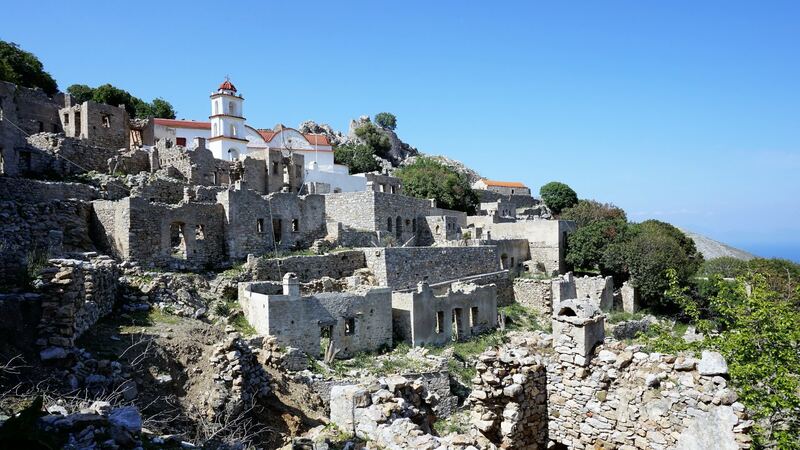 The village of Chorio was abandoned gradually and today is deserted. The views from the Castle are magnificent, and on a clear day, Rhodes, Nisiros, Karpathos and Tilos are visible into the endless blue of the Aegean sea. On the way back, we stop to Pondamos Beach for a refreshing swim and a homemade nutritious lunch at a seaside tavern. Today we explore a deserted island, called Alimia. We set off from the port of Halki, and sail till we reach its first wide bay, where the main town once stood. This village was declared a protected settlement in 1978. 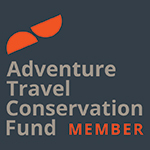 We disembark there in order to hike through its untouched treasures. We will wander in forgotten trails, since the island is uninhabited since the 2nd World War. In the Hellenistic times, Alimia was used as an anchorage and observatory for the Rhodian fleet. A tower was constructed that survives till today on the eastern side of the tallest peak of the island. Part of this Hellenistic tower was used for the construction of a Medieval Castle in 1475 by the Knights of Saint John, who had conquered the Dodecanesse that time. We arrive to the second significant bay of the island, where we have the chance to swim to its crystal clear waters, and then enjoy a BBQ on the beach. At the early afternoon, we sail back to Halki. 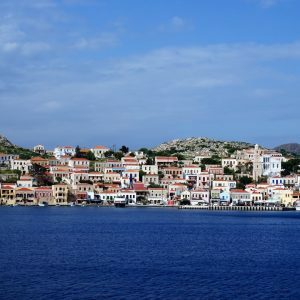 We leave picturesque Halki, and take the boat back to Rhodes, the biggest of the Dodecanese islands. After a transfer to our hotel, and quick settling into the rooms, we set off for our first paddling day. We paddle close to famous bays, swim in turquoise waters, discover hidden caves and feel like real explorers! As we start paddling away from shore into the sea and along the east-southeast coast of Rhodes, our guide will share important facts of the past. Enjoy panoramic views of beautiful islets and stunning rock formations before venturing into hidden sea caves along the coast. We have the option to swim or snorkel in the clear blue waters of the Anthony Quinn’s Bay. We arrive at Traounou beach, where we can relax and rejuvenate our energy with refreshments and a nutritious traditional Greek picnic lunch. 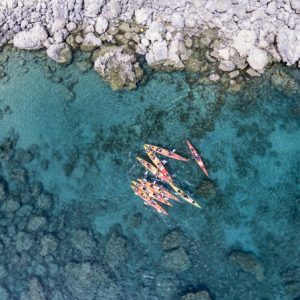 We spend approximately two and a half hours paddling along Rhodes’ coastline on this unforgettable journey. 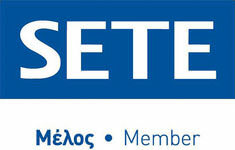 Afterwards, transfer to hotel, and then walking tour of the Medieval Town of Rhodes – An UNESCO Heritage Monument. 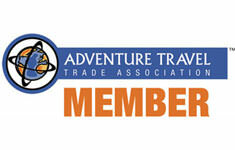 Narrow alleys, historic monuments and a mystery atmosphere contribute to an unforgettable visit! Distance: 6 N.Miles / Actual Paddling Duration: 2,5 hours. We start our second day of sea kayaking, and quite a longer one. 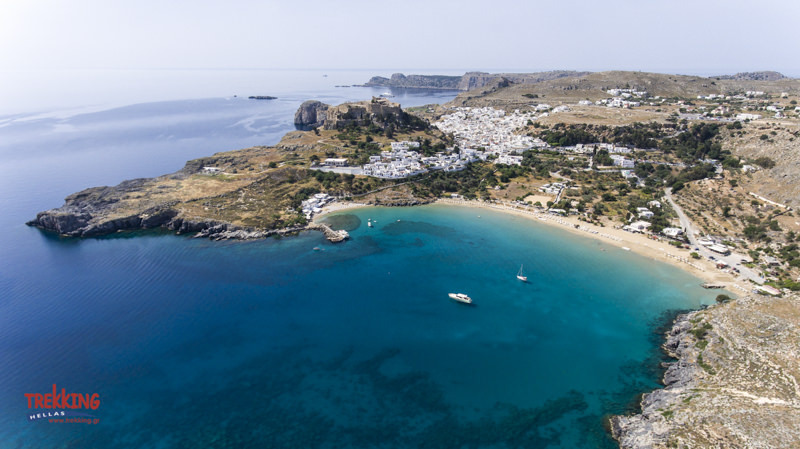 After a transfer through Rhodes countryside, we arrive at Vlicha Beach – located on the east side of the island, next to the town of Lindos. 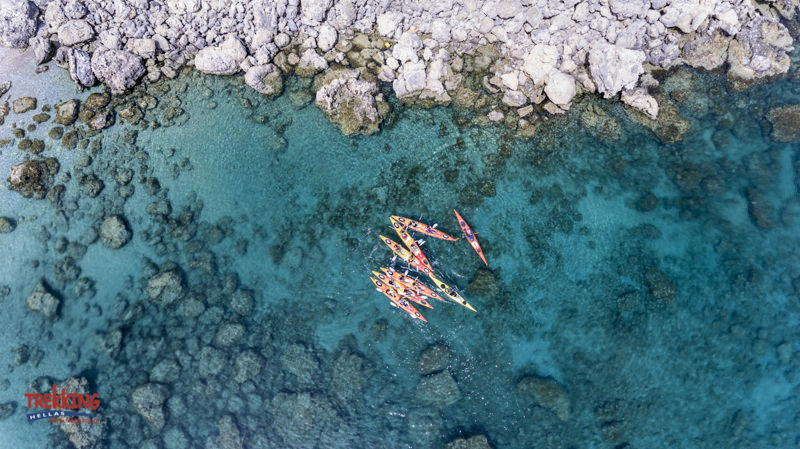 We paddle across the coastline, passing by beautiful rock formations and hidden caves, and reach Lindos, with its small cubic whitewashed houses. 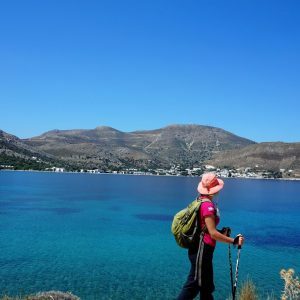 We enjoy a tasty nutritious lunch at a sea side tavern on the beach tasting delicious, homemade Greek dishes, and then we start walking uphill wandering through the city’s small and picturesque alleys. 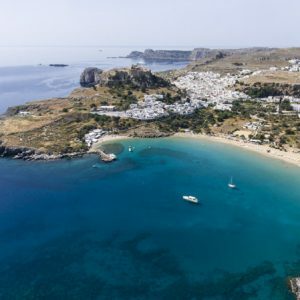 We reach the archaeological site of Lindos, where we learn about and visit Athena’s Temple and then paddle towards the bay of St Paul’s, known for its unique beauty and protected environment. The feeling of reaching Lindos by sea kayak, is priceless, due to the beauty of crystal clear water and the view to the castle that proudly stands on the top of the hill, protecting its town. Distance: 9 N.Miles / Actual Paddling Duration: 4 hours. Transfer back to Rhodes town, farewell dinner. Departure day, and transfer to airport.